This Tahoe Donner home has European touches throughout. You are backed up to the golf course and conveniently located close to ski resorts and downtown Truckee. The house is wonderfully appointed with a gourmet kitchen, a baby grand piano and a waterfall and pond in the front and back. Come enjoy a Swiss Getaway in Tahoe Donner. Price includes guest passes (up to 8 people) to Tahoe Donner Association which includes downhill and cross country skiing. Northwoods pool, hot tubs, fitness center, tennis, equestrian center, golf, beach club and much more! Year round activities for the whole family. Tahoe Byrnes Properties are available for rental year-round. The Tahoe area has been a long time vacation spot for the Byrnes family. We spent many vacations as children enjoying the snow in the winter, and the lake in the summer. In honor of our father, and continuing this tradition of great family vacations, we'd like to open our homes to you. My father bought this property in 2000 with the intention of it being a haven for family & friend get togethers. He built this custom house with our growing family in mind. Now, my husband and I own the house where we have friends and family up regularly. This house means a lot to us, and when we aren't using it ourselves, we love to give others the chance to rent it to make their own lasting memories. On golf course, hot tub out back, pond and water features, open concept kitchen and living area great for big group dinners. BBQ and deck for eating outside on warm summer nights. located on the Tahoe Donner Golf Course. Waterfall and pond in front and back yard. Karaoke machine, baby grand piano, gourmet Kitchen, 15 minutes to major ski resorts. We Didn't Make It ! VRBO is being very persistent for a review for a trip we didn't make ! However, I would like to mention how gracious and flexible this owner was when a big winter storm and whiteout conditions prevented us from driving up the mountain to the property. Without having seen the property yet, I would recommend booking just because the owner is so understanding and good to work with. Amazing home backing up to a golf course with snow for the kids to play with. 30 minutes to major North Lake Tahoe resorts. The great room and kitchen are stunning. Great place for our family holiday, we loved it. Thank you so much for sharing your place with us! We enjoyed our Thanksgiving holiday and even a bit of snow. The house was very comfortable for 8 adults and our furry friends. The house was perfectly equipped and Shea was gracious enough to extend an early check in so we could avoid the incoming storm. Can't wait to come back next year! We really enjoyed our stay in this home. It was very clean and had plenty of room for our large family. The bedroom set-up is great for kids as 2 rooms have bunk beds + queen bed. We loved the hot tub and the beautiful water feature in the back and front yard. It is on a quiet street and backs up to the golf course. We would definitely stay here again. This is a lovely home. Spacious, extremely well maintained, lovely bathrooms, great kitchen, comfortable beds, tvs everywhere, well stocked, welcoming from the first minute you enter. My only suggestion would be umbrellas for the decks, and more comfortable seating for the back deck. But those are minor inconveniences. I would definitely rent this house again in a heartbeat. There were 7 of us, three generations. We had plenty of togetherness, and also privacy whenever we wanted it. 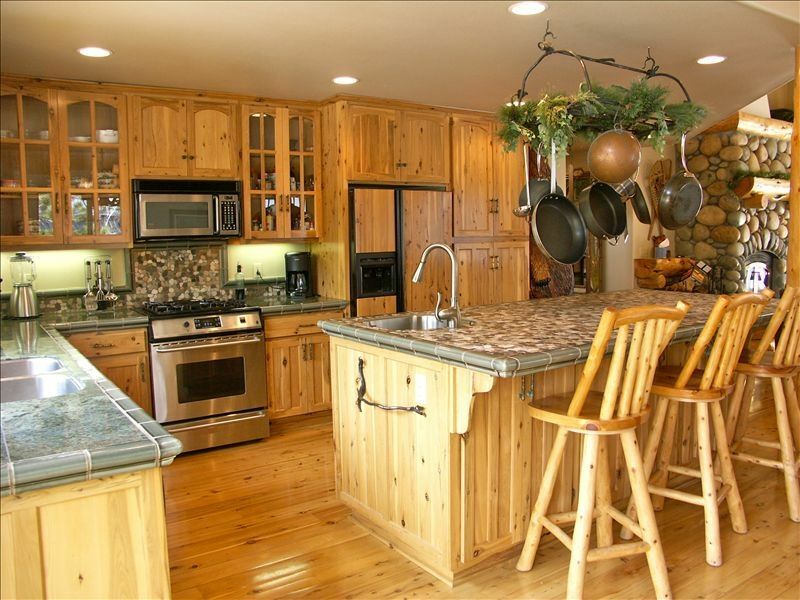 Kind and accommodating owner, and a very responsive property manager in Truckee. Definitely 5 star! It was such a beautiful cabin and the owner was very responsive! This place is so beautiful that every morning we woke up, wished we could stay longer! Also, everything you need is available! Thank you, we loved our stay! Though it is not very close to sand harbour or other beaches, if that’s impo to you, check the distance before! Thank you! We hope you come back soon! Tahoe Donner is closer to Donner Lake and there are beaches there that are great, but we are about 30 minutes to Lake Tahoe!